Thirty states and the District of Columbia have laws that allow the use of marijuana in some form. California became the latest state to permit recreational use of the drug with a law that took effect on Jan. 1 of this year. Massachusetts will start retailing cannabis in July 2018. Seattle, WA: Have a Heart – Skyway – The shop is located close to the airport. It provides high-quality recreational marijuana at fair prices. Portland, OR: Nectar – This is one of the largest marijuana dispensary chains in Oregon. Corvallis, OR: High Quality Compassion – It claims to be a mission-driven marijuana dispensary where patients can live life fully through the consumption of cannabis. Las, Vegas, NV: Essence Cannabis Dispensary – The dispensary, located on the north end of the strip, sources its supply from a pharmaceutical-grade facility with an on-site nurse. Youngtown, AZ: Swell Pharmacy – The dispensary tries works hard at educating customers with one-one-one sales conversations. Glendale, AZ: The GreenHouse – This is a clean and simple kind of marijuana dispensary where patients automatically enter into a loyalty rewards program. Denver, CO: Ballpark Holistic Dispensary – It is a one-stop-shop for recreational and medical users of marijuana. Arcata, CA: Humboldt Patient Resource Center – It is one of the first dispensaries in California, having been in business for nearly two decades. Detroit, MI: House of Dank – The dispensary opened its shop to counter the black market of cannabis in the city. 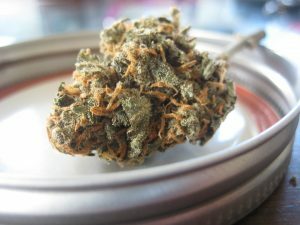 Lansing, MI: KIND Dispensary – Serving central Michigan, this dispensary has been in operation for more than five years. These are a few of the movers and shakers in the marijuana business, and many more are expected to join them as the legalized marijuana industry thrives. Use marijuana legally and responsibly. When you need a detox drink, consider Pure Detox.